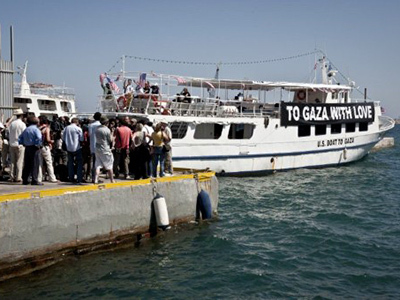 A French ship from the new Freedom Flotilla carrying aid for Palestinians in Gaza has been stopped in Crete harbor. Meanwhile, the UN has postponed publication of its report on last May's fatal raid by Israeli troops on the previous such fleet. 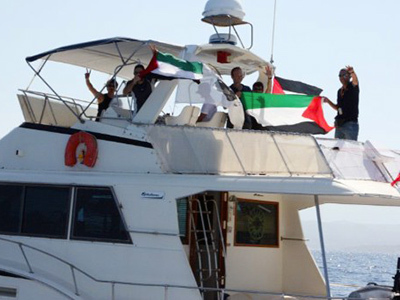 The second Freedom Flotilla is behind schedule with its second attempt to break the blockade. The action, which Israelis call a provocation, is being stalled by a Greek ban on leaving their ports for any ship bound for Gaza. Several ships from the fleet have been stopped from going on with their mission by the Greek authorities. Spanish activists from one of the seized ships stormed their country’s embassy in Greece in protest. The latest vessel prevented from reaching Gaza is the French yacht Dignite/Al Karama, which cannot leave Crete for administrative reasons, according to AFP news agency. The boat managed to escape from Greek coastal guards on Tuesday. Earlier, activists said two of their ships have been sabotaged. Israel insists that any aid for Gaza must be delivered by land after a check. Greece offered to send their diplomats with the cargo of the Freedom Flotilla to ensure it reaches its destination. Palestinians say Israel blocks much of the aid sent to them, which makes actions aimed at lifting the blockade that more reasonable. Israeli authorities are on high alert as on Friday 600 activists from 50 European countries are expected to arrive at Israel’s biggest airport Ben Gurion. They will show their support not only to the flotilla but to the people of Gaza and Palestinians in general. 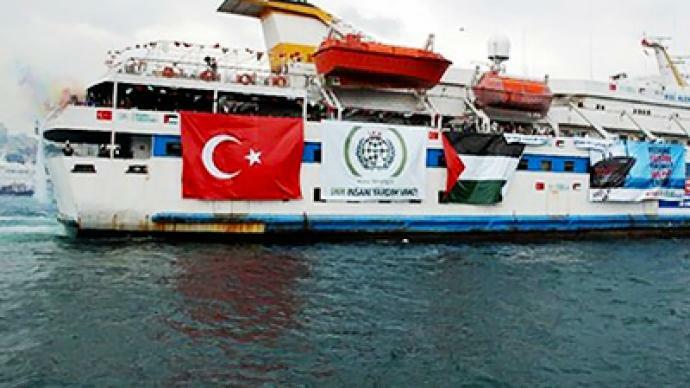 Meanwhile Thursday is the deadline that the United Nations gave itself to submit a report on last year’s Gaza flotilla incident in which nine Turkish citizens were killed while trying to break Israel’s blockade of Gaza. For the last few days Israeli and Turkish diplomats have been meeting around the clock in New York to try and reach some kind of formula that is acceptable to both sides. At the heart of the dispute is Istanbul’s insistence that Tel Aviv apologizes for its role in the events. But so far Israel has refused to do this, offering instead regret for the loss of lives. The head of the commission, Geoffrey Palmer, has said regardless of whether or not both sides are able to reach some kind of prior mutual agreement, he is issuing the report on schedule. This has been the impetus for both Israelis and Turks to try and overcome their differences, because most people understand that if the report is issued without reconciliation, it would be much harder for that reconciliation to be reached at a later date. The report is likely to uphold Israel’s legal right to impose a naval blockade on Gaza, but at the same time it is likely to charge the Israelis with excessive use of force. Israel has indicated that it is prepared to pay compensation, but as long as it does not create a precedent and open it up for such legal claims later.